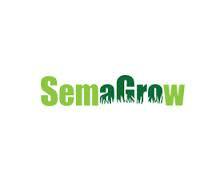 The FAO AGRIS team is testing one of the main outcomes of the SemaGrow project, the SemaGrow Stack, with the objective to use this technology for the provision of meaningful information for AGRIS mash-up pages. The SemaGrow Stack implements a SPARQL endpoint that federates many other SPARQL endpoints and optimizes transparently federated queries. It was developed by the National Centre for Scientific Research “Demokritos” (NCSR-D) and University of Alcalá (UAH). FAO has developed a recommender system for testing the SemaGrow stack: it is a JAVA module that computes intersections between the crawler database and the AGRIS database, and generates a new triplestore of recommendations. The web crawler that has been created by the AGRIS team before, regularly adds new web contents to its database that can be connected to the AGRIS search results in an AGRIS mash-up page. As only few pieces of information can be displayed on that page, the recommender system will support the selection of meaningful information. Additionally to the current testing there will be pilot trial organized to test performances and usability of the SemaGrow Stack as well as how easy further datasets can be federated. Are the web recommendations in the right area after an AGRIS search generated with this system?